National Apprenticeship Week ran from 14th– 18th March this year. The week is a government driven initiative by the Skills Funding Agency, designed to celebrate and promote apprenticeships and the work that apprentices do. As IBM are a large apprentice employer, it was important for us to play a big part in the week; organising a number of celebration and promotion events right across the UK from Portsmouth to Greenock. A large team pulled together to run activities and engage with school students, parents and our clients. Some activities that we ran are described below. 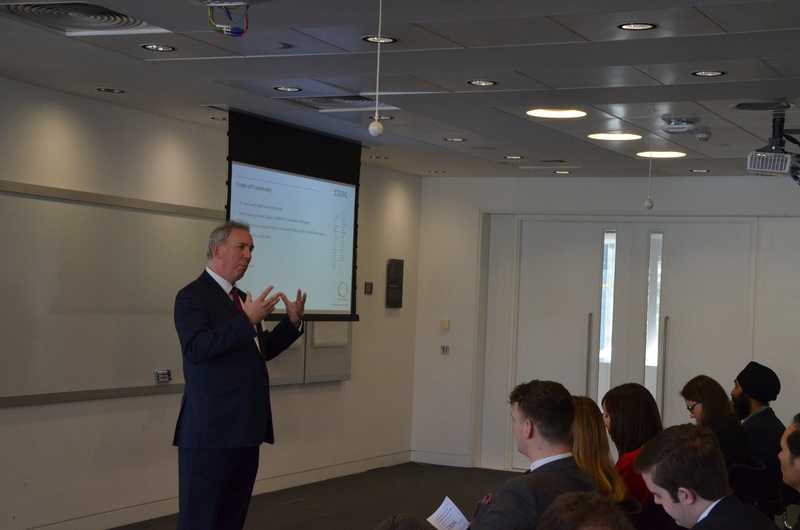 NAW was kicked off with an event organised by the National Apprenticeship Service at the amazing venue of London’s The Shard. The venue was packed out with Apprentices, Employers, Ambassadors and guest speakers including Sajid Javid MP, Secretary of State for the Department of Business, Innovation and Skills. Apprentices and employers from a number of different industries across the UK were on hand to share their experiences and talk about the future of apprenticeships and find out about what other apprentices do. A number of employers also pledged to employ more apprentices throughout the year, demonstrating growth for apprenticeships! IBM Warwick was the first of our IBM location events to host a number of school and college students for an hands-on, interactive Internet of Things Workshop. Students were given a case study and then had to develop solutions to real world problems using the Internet of Things. Key skills were taught during the day, including communication and presentation, as attendees then had the opportunity to present back to the group. Feedback from the session was excellent and it was enjoyed by all. North Harbour hosted an interactive event for college students to find out more about IBM and the apprenticeship scheme. The day was split into two 3 hour sessions. In the morning they had students from South Downs College and Highbury College, then in the afternoon they had students attending from Portsmouth College and Oakland Sixth Form. The event consisted of a presentation followed by 3 activities. The first was the Amazebots which were included to show some simple programming. Second was the survival activity which was done to demonstrate students teamwork, communication and decision making skills as they had to prioritise items and present this information back. And finally the Lego activity was used to show their written communication skills as they needed to build something and provide the other team with instructions on how to build it. They then had a Q&A sessions with IBM apprentices after these activities took place. A group of apprentices held an open day at Hursley during the week, for local schools and colleges students to learn more about IBM. The day was full of different speakers – including hearing from Andy Stanford-Clark, Master Inventor, about his career and all the cool things he’s created. The team led the group of school and college students through various tours around Hursley and the students left well informed of the different routes available to them after college. We had 16 pupils from a number of different schools and colleges to come and enjoy an exciting skills day, where students were given a case study scenario and asked to design a website for a fictional client. Throughout the day, guests learned about the apprenticeship scheme as an alternative to university, especially for those that prefer hands on work. Everyone had a great day, the students had fun and it was a great opportunity to spread the word about our scheme whilst teaching the students some useful skills! Jen Coyle, Leanne Vickers and Sarah Horner held their open evening with the help of Early Professional Managers (EPM) Trevor Lee and Kashif Taj, Sales Manager Keith Oulton along with few interns at Jackson House this evening. They began with a presentation from Sarah and Jen about IBM and our Apprenticeship scheme day. The highlight of the evening was the speed-networking session where the students and parents were split into groups for an informal Q&A session with different IBMers. They also held a competition for the guests best #IBMNAW16 tweet, with a prize for their favourite. The students left with an Apprenticeship application starter pack, filled with example group exercises and recruitment tips. The feedback received from the guests praised the team for their organisation enthusiasm, with many comments about the teams “personable” and “honest” feel. Many parents commented on how informative the presentation was and some students also added they would love to work for IBM after this event! 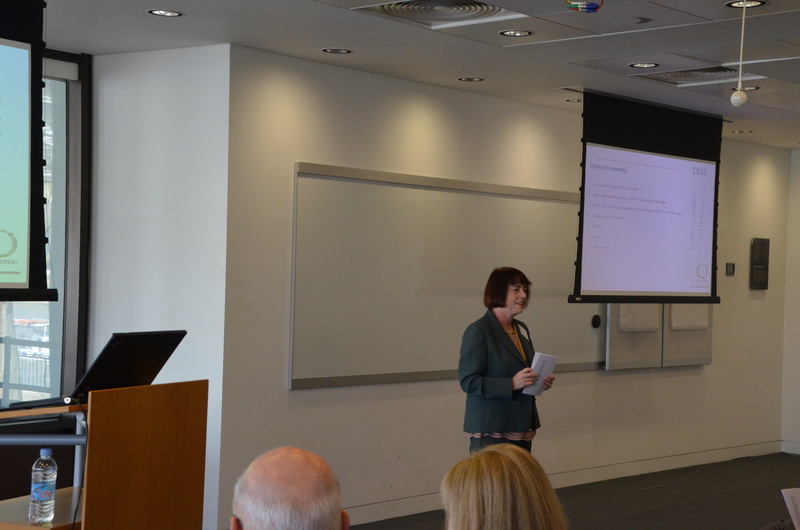 To bring our NAW activities to a close on Friday, we held a Watson Innovation Workshop in Southbank, inviting guests from external companies and also internal ones to take part in this fun team based activity. Apprentices descended upon the client centre from Cisco, Accenture, Capgemini and VISA, as well as attendees from our own scheme and Movement to Work placement students. 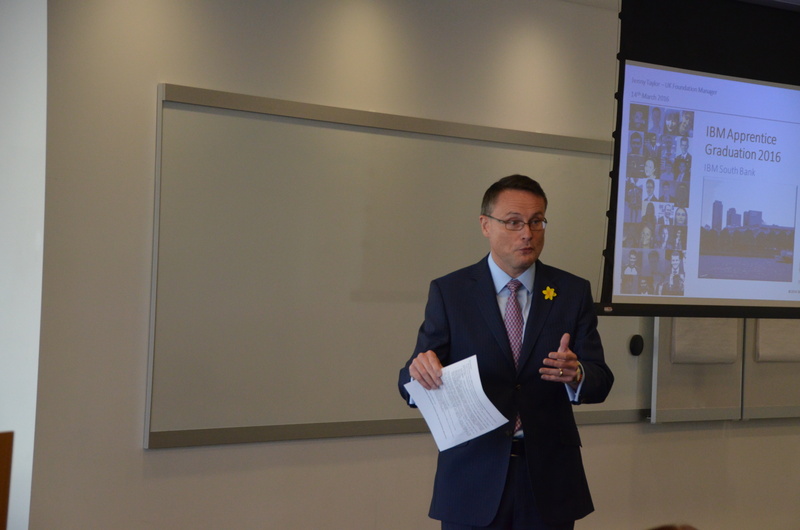 Guests learned about Watson’s real world capabilities and then had to utilise the abilities of Watson, to design a solution to a real-life problem that the individual teams had to think up. After identifying, analysing and designing a solution, the teams each had to pitch the ideas back to the rest of the room and EPMs present. Great fun was had by all and feedback from the external apprentices was fantastic.